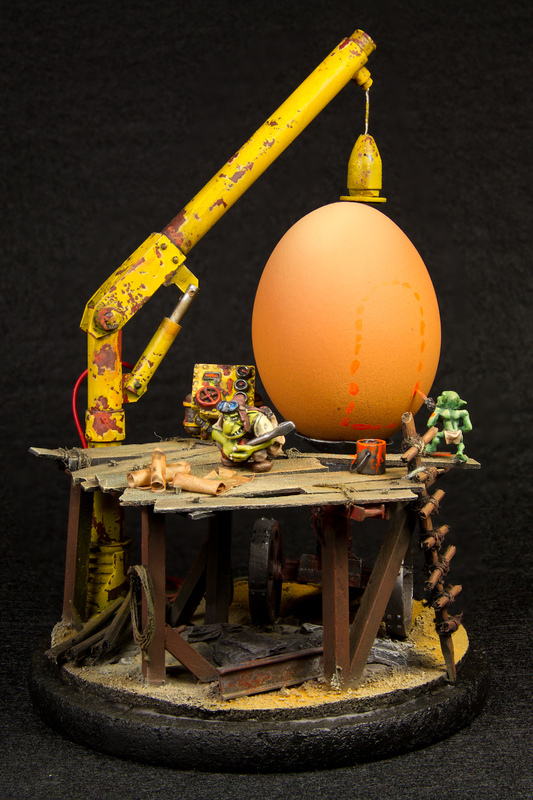 "This is my entry to the MV egg contest and it is also my first miniature contest entry of all times. It's called "Trojan Egg" and it is basically coming directly out of the green skin twisted minds. It's a super weapon against... well they are not sure what it could be used for yet, but they will certainly figure it out at some point. 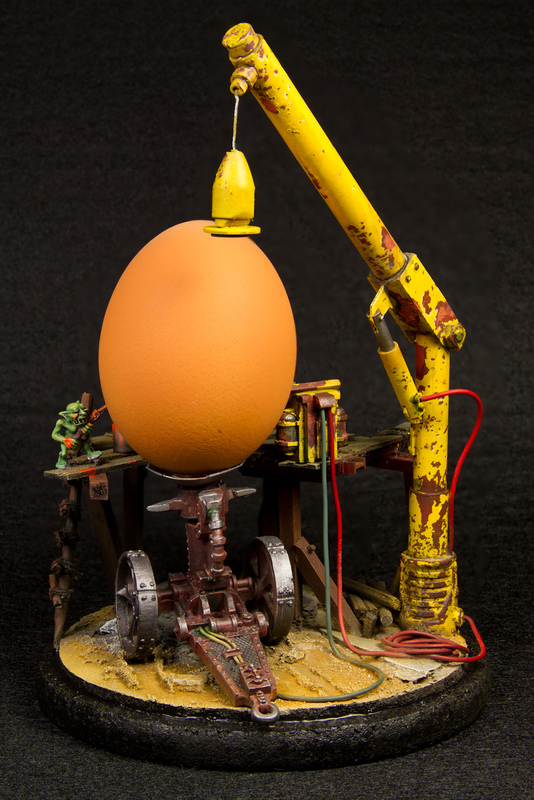 I don't know if you need or want this kind of "technical" information but: the minis are obviously coming from W40k line (very old minis), the egg support is made out of a converted canon. 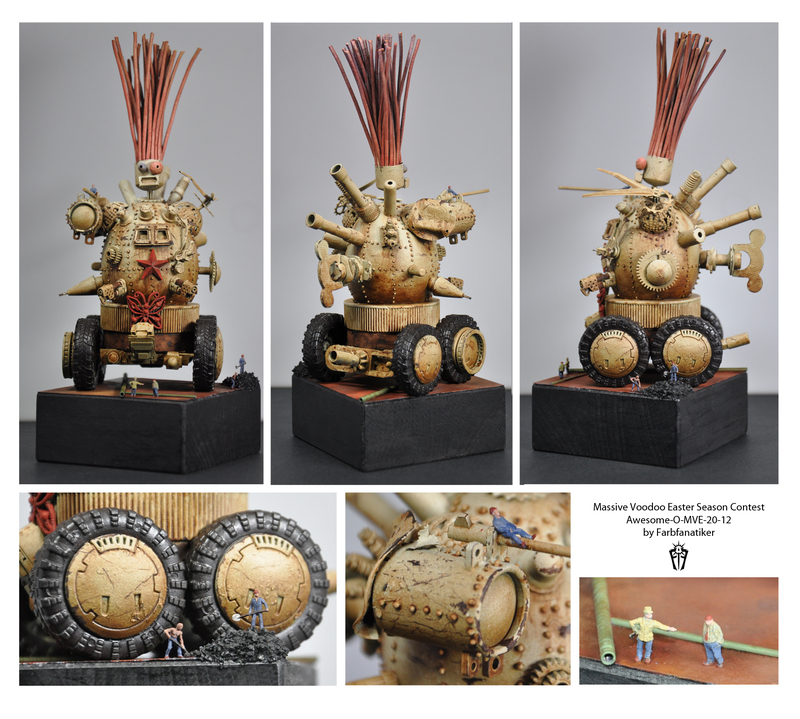 Everything else is hand crafted using balsa, various wood, cork, plastic card and tubes. Finally, the crane basis is made out of a "light saber" toy coming from a Kellogg's box. That's it, I Hope you'll have fun looking at it ;) and be sure that I did enjoy very much crafting it. Thanks for this contest it was a very funny experience!" "Hi,my name is Álvaro and I´m from Argentina. First of all,let me tell you that all your works are very inspiring. and the MIB making their job. 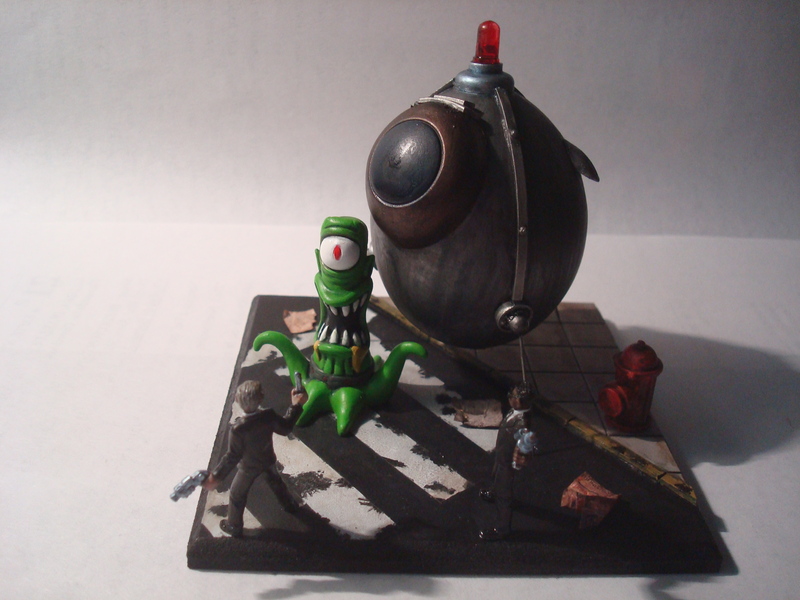 The spacecraft was made with an egg,pieces of old headphones,plasticard, some pins, the cup of a GW wash and a led. 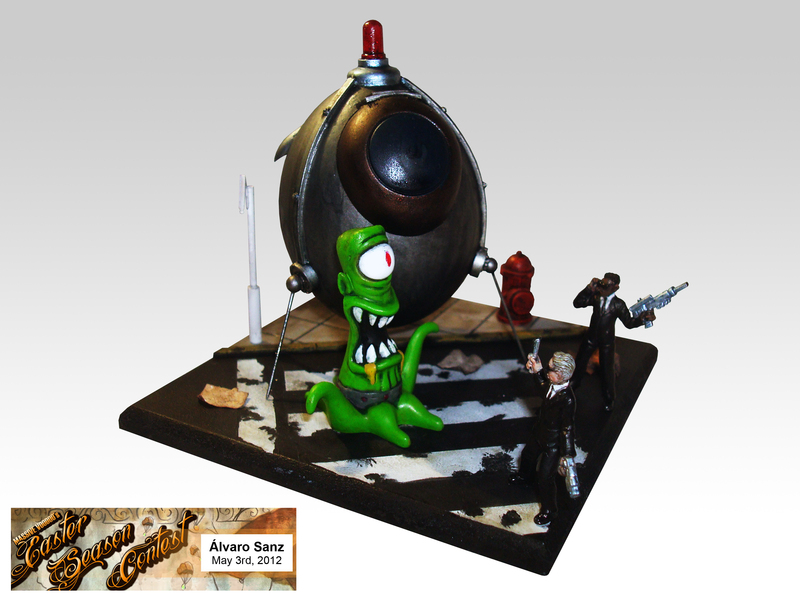 Kang or Kodo,I don´t know wich one is it, is a toy from a chocolate. 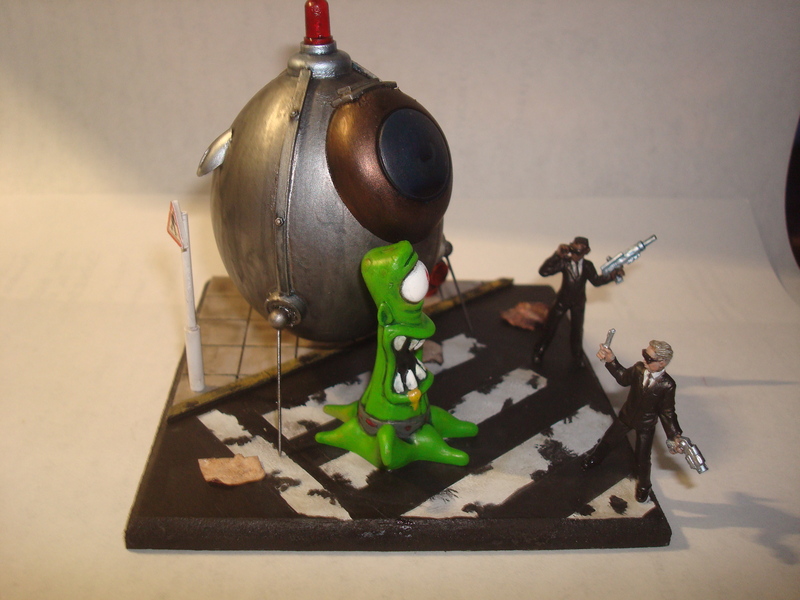 The base was made from plasticard and the MIB are goverment agents from Reaper. All the photos were taken by me, but a friend help me with the one tha have the sign. Thats why it´s diferent from the other ones. Sorry for my English, but it´s been a while since I wrote something in english." This competition is getting better and better!!! Love it! 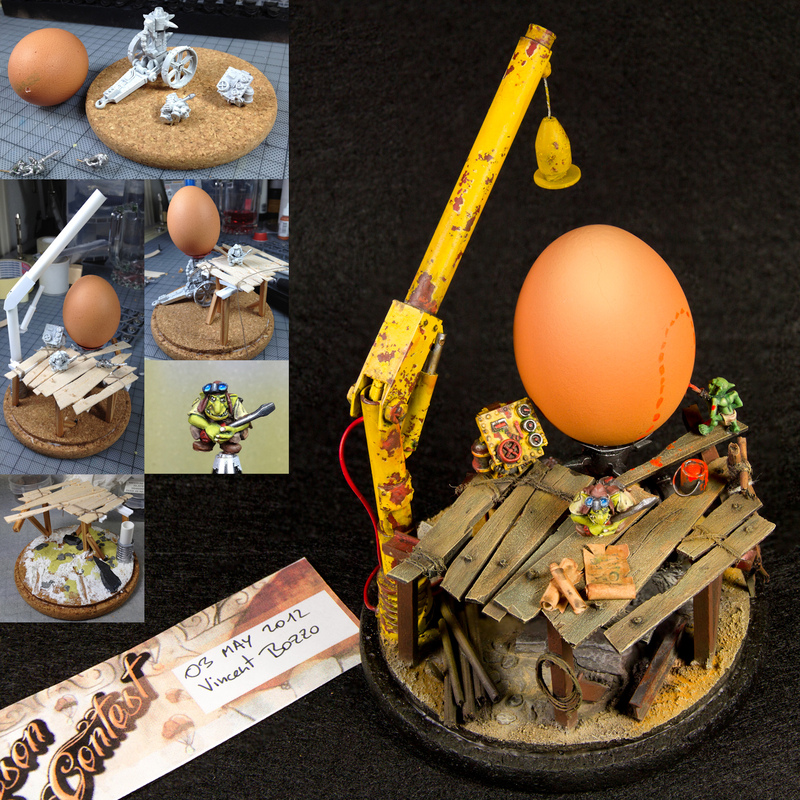 Yet again more amazing entries...all this just from a simple egg. Great job everyone! SO cool, so cool, so cool :D !!!!!!!! !